Here’s the thing: even the most seasoned advertiser can get it wrong. We all know Facebook ads are a must, but so many of us are not getting the results that we want for the budget we have; I found myself saying, If I knew then what I know now, quite a lot in the beginning. Whether you’re new to Facebook advertising or are just not seeing the results you want from your campaigns, by learning from others’ mistakes you can get high-performing Facebook ads in less time, for less money. Here are the biggest things I wish I had known on day one. Being a firm believer in engaging with every comment, even the bad ones, as a store owner, I normally wouldn’t advocate for stores to delete bad comments on their ads. However, as any dropshipper knows you are bound to get a boat-load of negative comments from trolls that have never bought from you – or just want to harm your brand – and they are just not worth engaging with. There is a simple fix for this: automatic deletes! You can insert any terms or wording that you wish to block on your page and in posts. This will automatically hide any comment that contains any of these words. …and matching ad delivery to times when your sales conversions are higher. As I mentioned above, your audience is likely to see your ads more than once. If you’re not mixing up your images and ad copy, they’re going to get very bored very quickly. Especially if you’re running the same campaign for extended periods of time. Regardless of whether you’re marketing the same top-converting product, or pushing traffic to your site through Facebook’s traffic campaigns, mix it up by editing images and headlines every two weeks. Facebook reach is all about video, and by not including videos in your campaigns there is a big chance your reach and engagement won’t be where it should be. Like we learned from those 2016 Viral Product Ads, the beauty of Facebook videos is that they don’t have to be high-budget productions to get good traction. Plus we recommend that you add subtitles, as most viewers will see your content without sound. You don’t even need to produce them yourself at all: there are ways you can get your hands on viral videos that you can use for your ads, copyright-free. 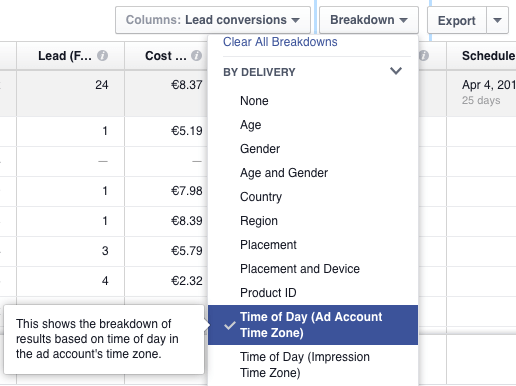 Before choosing your Facebook ad placement, check in with your Google Analytics. Facebook offers a wide variety of placement options, but to ensure you are getting the clicks, you need to know where your audience is. To optimize placement ask yourself – and Analytics – which device or platform are your shoppers using when they click to, browse and buy on your online store? You can even narrow your placements down to the device type. Say you’ve been selecting broad placement, but your store traffic comes majorly from mobile; you may find that your CTR for your ads is lower and ultimately results in lower ROIs. 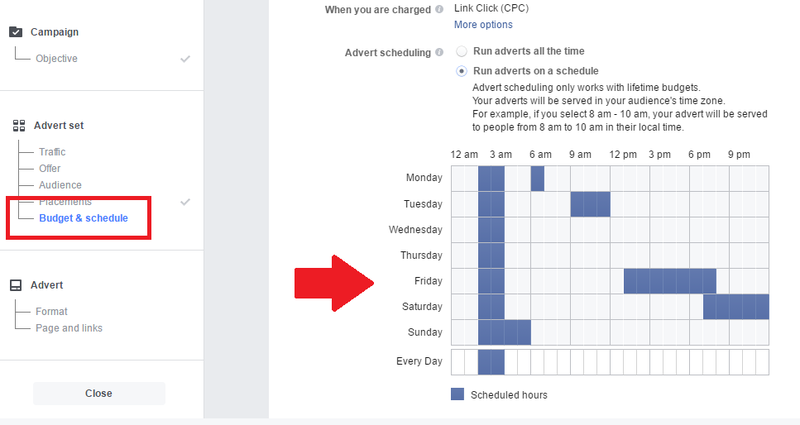 When you run your Facebook campaigns, there is a BIG chance that your audience is going to see your ads more than once. Regardless of your audience size, you want to make sure that your ads are not taking over your target audience’s Newsfeeds. It is tempting to go in with high ad budgets, with the goal of quick conversions, but this may leave you with fewer and fewer conversions as your impressions rise, and ultimately drop your ROIs – this is especially the case when running multiple campaigns. By the time your audience has seen the second or third campaign three or four times on their Newsfeed, their chances of engaging with your ad dramatically decrease. Instead, space your campaigns out over time, ensuring better results and less ‘hide this ad’ results. By not using Facebook ads’ retargeting options you’re missing out in a big way. Retargeting previous store visitors can result in the best ROIs, and Facebook retargeting, although often overlooked, is actually quite simple to implement. 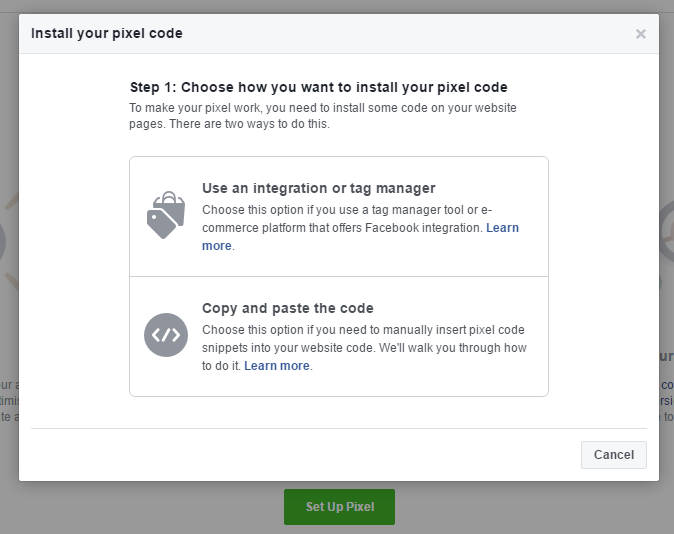 You will need to set up a pixel code: this is a line of code you can place on your website to collect data or alternatively you can use an eCommerce platform app to get site visitor information – or cookies, as they are called. 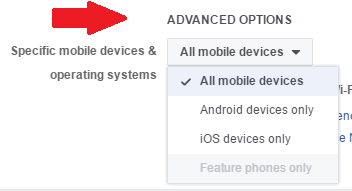 Log into Facebook Ads Manager and select Audiences. 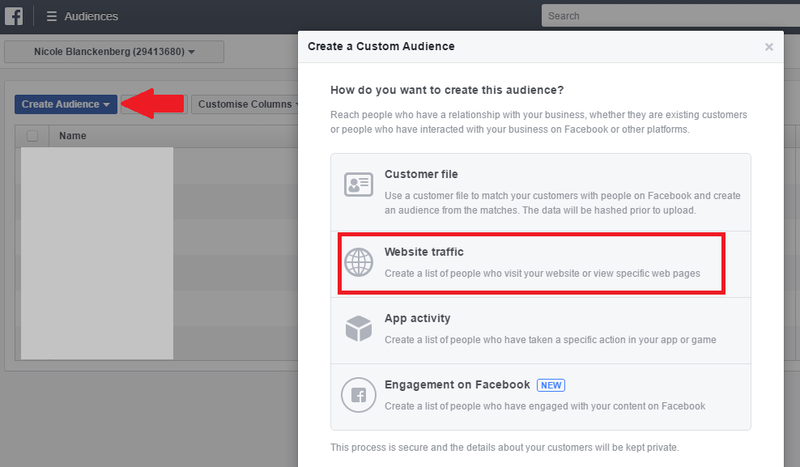 Select ‘Create Audience’, ‘Custom Audiences’ and ‘website traffic’. Select the type of site visitors you want to target. Facebook Lookalike Audiences refers to targeting designed to reach potential shoppers based on the data of your current shoppers. 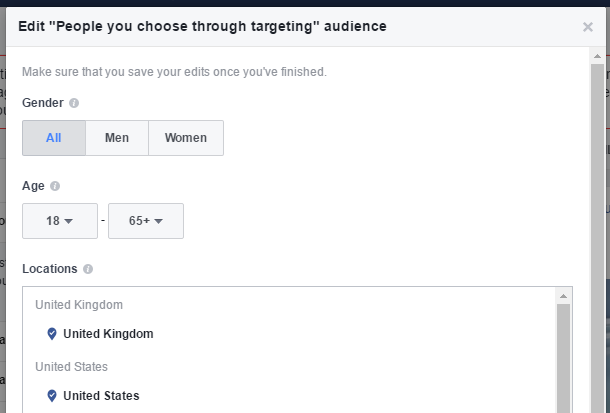 You can create this audience type in Facebook Ads Manager, in the same way we set your retargeting audience above. This handy tool will ensure that your ads reach potential customers who have similar interests, behavior and likes to your current customers. As any small business owner or entrepreneur will tell you, when it comes to marketing one size never fits all. The same goes for Facebook ad strategy. No online store customers are the very same. Where one gets great results from Lookalike targeting, the other may convert exceptionally well through desktop placements. Leaving your campaigns to run without tweaking and testing for the best ROIs for YOUR store, is one of the biggest Facebook ads mistakes you can make. Try different audiences on different devices or different placements at different times of the day. Testing your audiences will ensure that you find the optimum targeting strategy for maximum engagement, CTRs and conversions. If you’re thinking just in numbers – (“If I spend $1,000 on Facebook ads I will get sales conversations”) – the results will not match up because without a sound strategy that looks at which part of the sales funnel you’re targeting and the brand message you wish to convey, you’re going to be disappointed with the results. If you’re aiming to push a specific store promotion or sale, you need to think about what that promotion is solving and plan your targeting, ad copy and imaging accordingly so that you are more likely to reach potential shoppers who are ready to buy. Or if you’re driving traffic to your store to build brand name and trust, plan your ads to target shoppers interested in the niche you’re selling in. By balancing your expectations, budgets and strategy, you’re guaranteed Facebook campaign success – AKA the best ROIs for your eCommerce business. Last but not least, a simple mistake I made all too often was keeping my targeting too broad. You need to find a narrower market within your target to ensure your conversion rates are higher. If you have a clothing store for example, that you want to market in the U.S., it may be tempting to choose 18-60 in the U.S. and run with it. However, if you narrow down a specific market by asking yourself who is more likely to buy your products and in which city, you may have much better results. If your analytics are telling you that your store is popular in New York, ages 18-24, then narrow your campaigns down. You can also choose different demographics for different products, and therefore target each segment separately. On the other hand, going too narrow could saturate their Newsfeeds and brings us back to point one. Ultimately it’s a trial-and-error balancing act. Do not create your campaigns based on ‘budget in, budget out.’ Just like any form of advertising, remember that continuous monitoring, tweaking, testing and planning is the key to any successful campaign. What works for one product or promotion may not work for another. Likewise, what works for one audience type may not work for another. There you have it, all the inside information you need to start Facebook advertising. Have some tips of your own? Post them in the comments below. Thanks alot. Great vira vedio training.